After more than four years this blog has reached the end of its journey through the First World War in Bedfordshire. We hope that our readers have enjoyed following the journey with us, and that it will serve as a record for the future of the experiences of the county on the Home Front. The final event of our commemoration of the First World War will be Remembering the Fallen, an exhibition in the reception area of Bedfordshire Archives. This will run from Friday 11th January until Wednesday 3rd April, and will look at war memorials in the county, ranging from the typical stone structures and memorial plaques to memorial halls and other public amenities. Entry is free during Bedfordshire Archives’ normal opening hours. Saturday 28th December 1918: Men who have returned to Bedfordshire after spending time as prisoners of war in Germany have been telling of their experiences. Corporal Sydney Beddall of the Bedfordshire Regiment, son of Mr. and Mrs. William Beddall of 49 Park Road, Kempston arrived back last week after spending nearly twenty months in captivity. He was taken prisoner in April 1916 during the battle of Vimy Ridge and was sent to Fort McDonald, which has been described by other prisoners as the ‘Black Hole of Lille’. He spent only five days there but witnessed appalling conditions. Over one hundred prisoners were packed into a single cell, leaving them no room to turn round and with only a small hole near the roof for ventilation. It was “indescribably dirty and verminous”,and impossible to lie down due to lack of space; sanitary arrangements were “shocking”. The prisoners were allowed out for five minutes’ exercise once a day, and their died consisted of half a slice of black bread each day, with a quantity of mangold wurzels, sliced and partly boiled in water but inedible, with the liquid from the vegetables all they had to drink. During his time there three fellow prisoners died. 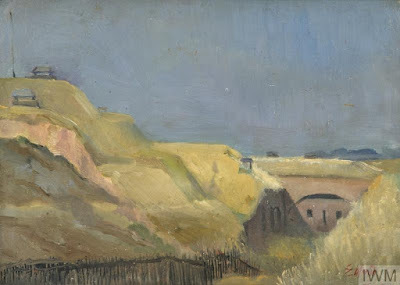 Corporal Beddall was then sent to Marquion near Cambrai, where the prisoners were put to work clearing away German ammunition dumps and railway lines as the British advanced. They were “practically worked to death, and more than half starved”, starting work between 3 and 4 a.m. and continuing until late in the evening. As the British advanced the prisoners were moved back to Devain, where they received their first bath. Corporal Beddall was then told that as a non-commissioned officer he was not obliged to work and that he may be transferred to an easier camp, but was unable to get further information. He deliberately opened a superficial wound on one of his fingers, leading to blood poisoning and admittance to hospital where treatment was better. After he was discharged he was transferred to Dulmen Camp, where the state to which Germany had been reduced was obvious. The Germans were in a state of semi-starvation, and children would come round the barbed wire enclosure and beg biscuits from prisoners who had received a parcel from England. The Germans would also give almost anything for a tablet of soap. The camp was “filthy beyond description”, and the prisoners were put with Russian prisoners who were infected with typhus. Parcels sent by Prisoners of War Associations in England were extremely welcome, especially those received from the Bedfordshire Prisoners of War Fund. He was next sent to Cottbus, where rumours that the war would soon end meant that the prisoners received better treatment and were allowed more freedom. When news of the Armistice arrived the men were told they were free to leave. A party of 750 prisoners were sent to Altdamm on the way to Stetting. The camp was filthy and verminous, with no blankets for the men. They refused to stay there and rushed the gates; 1400 men marched to Stettin, from where they were taken to Copenhagen and embarked for Hull. 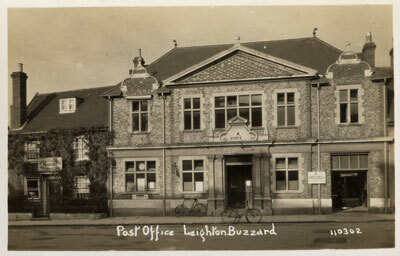 Wednesday 25th December 1918: Christmas is being celebrated very quietly in Leighton Buzzard. The loss of so many men since last Christmas, and the absence of so many other still with the Armed Forces, has dampened spirits. The bells of All Saints Church have been rung every evening this week, a welcome sound after previous Christmases when the bells were silenced. There are relatively few visitors in the town and, unusually in recent times, very few soldiers in the streets. At Leighton Buzzard railway station there has been slightly more passenger traffic than last year, but considerably less parcels traffic, most of the usual contents of Christmas hampers being either rationed or unobtainable. The shopkeepers have been busy this week, and there has been a revival in the use of Christmas cards, making work for the staff of the Post Office. The mail on Monday of last week was one of the largest in bulk ever sent from Leighton Buzzard, with eleven letter bags despatched on the evening mail train. Private Bungay hid behind some bushes and saw the guard leave to give the alarm and fetch the doctor. While the guard was gone he took out Baxter’s pocket book to get his address; he found a photo of Baxter with a child but had to put it back again. The affair was hushed up and guard claimed he killed Baxter in self-defence, but Bungay insists this was a lie as Baxter had his back to the guard. Private James Stewart, who has just returned to his home in Perth, says that when he arrived at Freiburg soon after the matter was being widely talked about at the camp; a number of prisoners told him that Baxter had been set upon by the guards after being accused of picking and eating blackberries he was gathering for the Germans to make tea from. Pioneer Baxter served his apprenticeship as a lithographer in Dundee, but joined up at Bedford in August 1917. 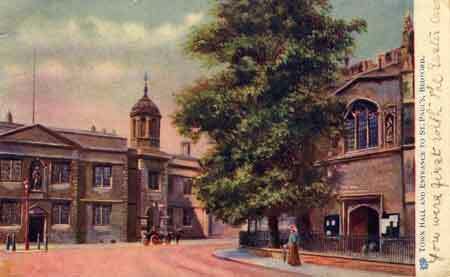 He leaves a widow, the daughter of Mr. J. H. Proverbs of High Street North, Dunstable, and a young son. Wednesday 18th December 1918: We have reported on several occasions the work being carried out by the Leighton Buzzard War Hospital Supply Depot, most recently in February when the Secretary received a letter of thanks from the Edmonton Military Hospital. The women of the town have been asked to continue their splendid work, this time for the benefit of the Serbian Relief Fund. 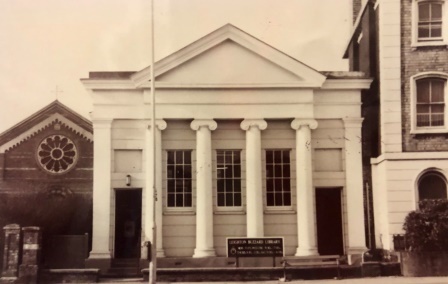 Two women from the Belgravia Workrooms, the Central War Hospital Supply Depot, have addressed a meeting at the Temperance Hall where they congratulated Leighton Buzzard on sending the best needlework of any depot. They trusted the town would not fail now when their efforts were so badly needed by Britain’s Serbian allies. One worker who had kept a hospital and a soup kitchen going in Belgrade for 3½ years had reported that everything had been deliberately broken up by the Austrians. The work of reconstruction specially entrusted to England was the care of returned prisoners of war and the provision of hospitals. 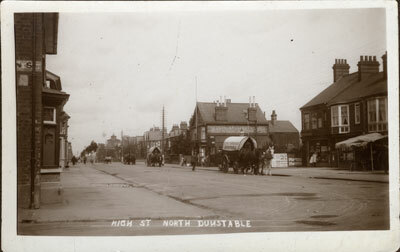 This had persuaded them to extend the work the Supply Depots had done during the War. 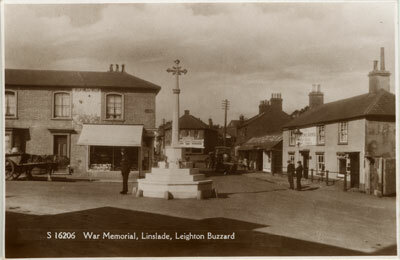 They hoped that Leighton Buzzard workers would continue to help “as a thank offering for having been spared the horrors of invasion”. A memorial service will be held for him at Holy Trinity Church this afternoon.